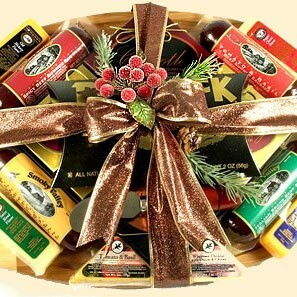 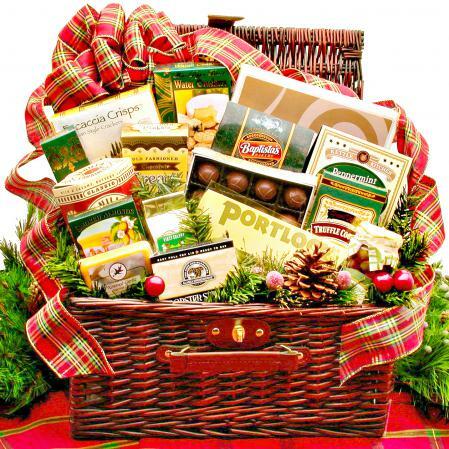 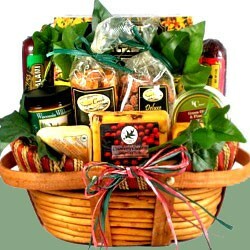 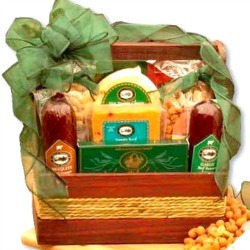 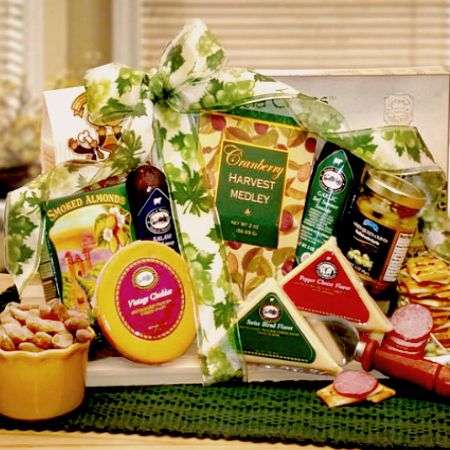 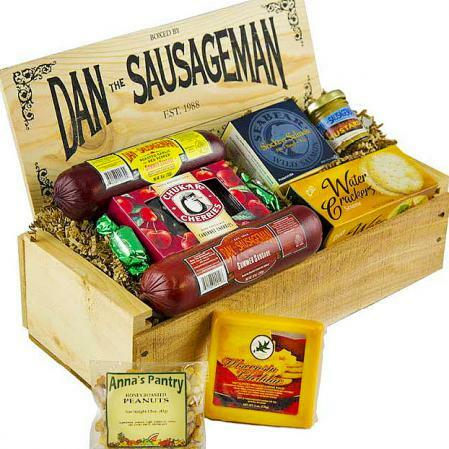 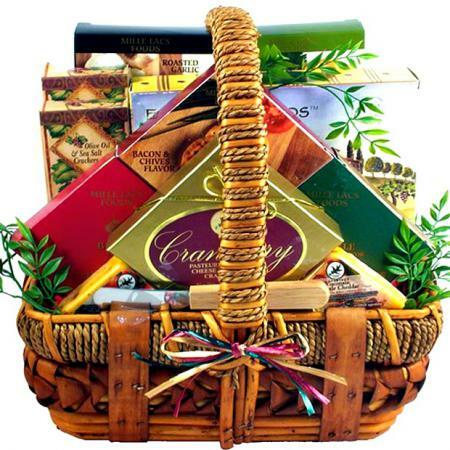 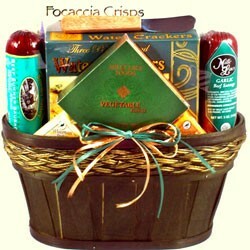 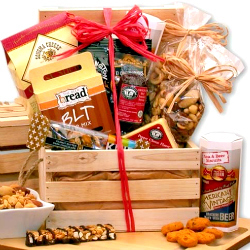 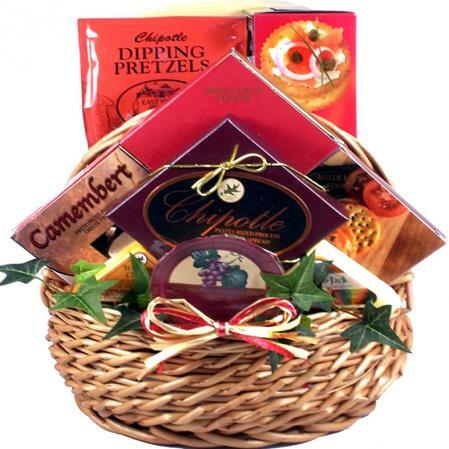 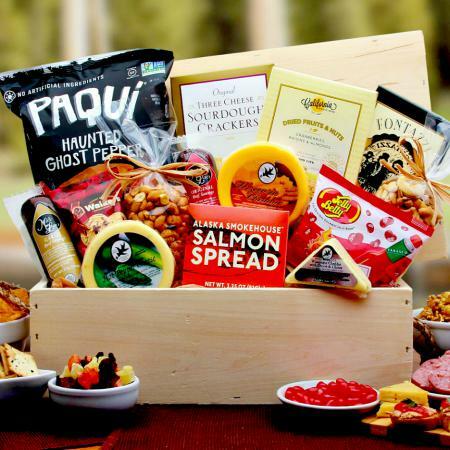 A rustic holiday gift tray is filled with a savory mix assortment of Sausage, Cheese, Cocoa, Cookies and more. 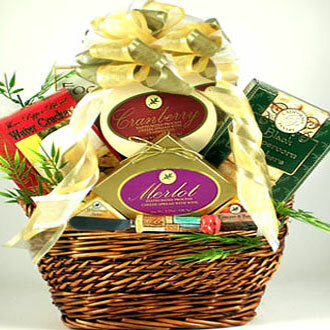 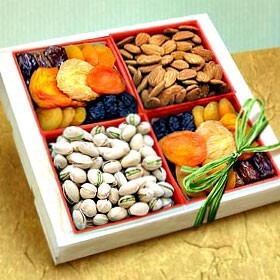 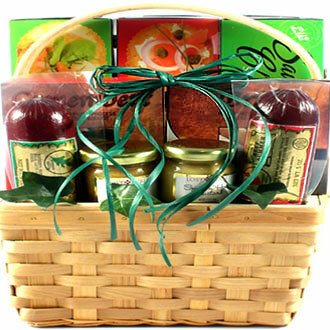 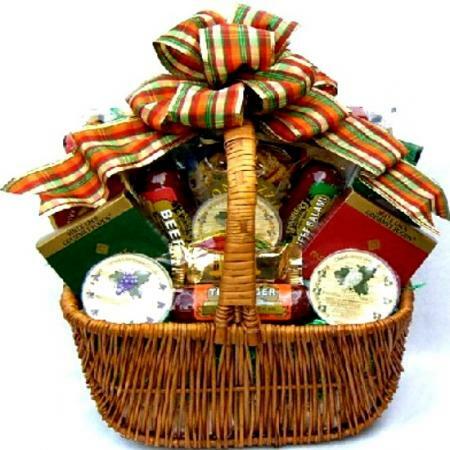 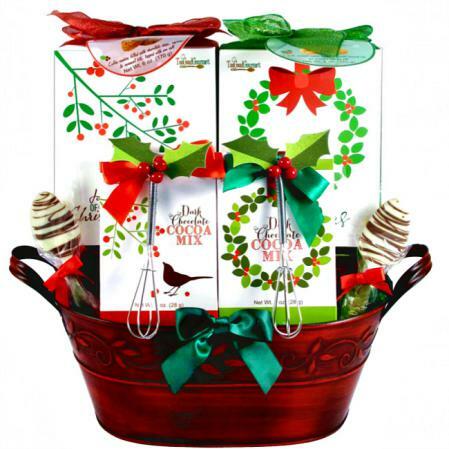 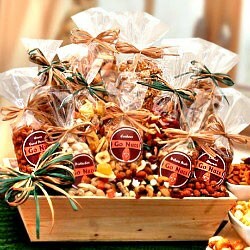 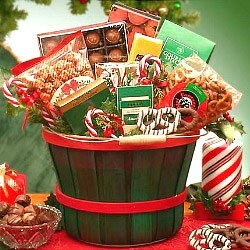 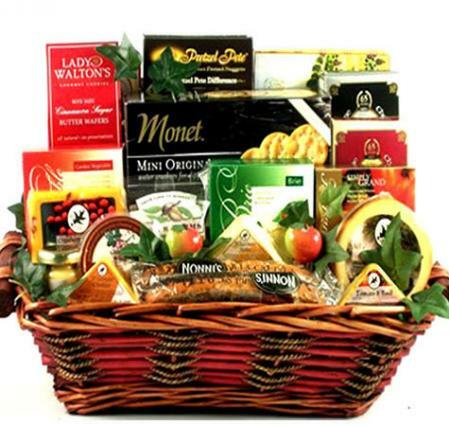 Wonderful presentation and a great gift for the person on your gift list. 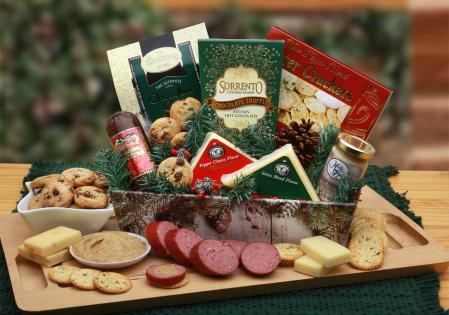 A rustic holiday tray delivers Bavarian Sausage, Wisconsin cheese, Chocolate chip cookies and more. 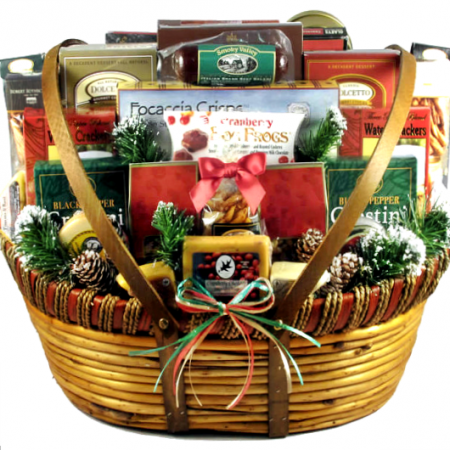 Decorated with cranberries, spruce and pine cones this winter tray is sure to satisfy their appetite.